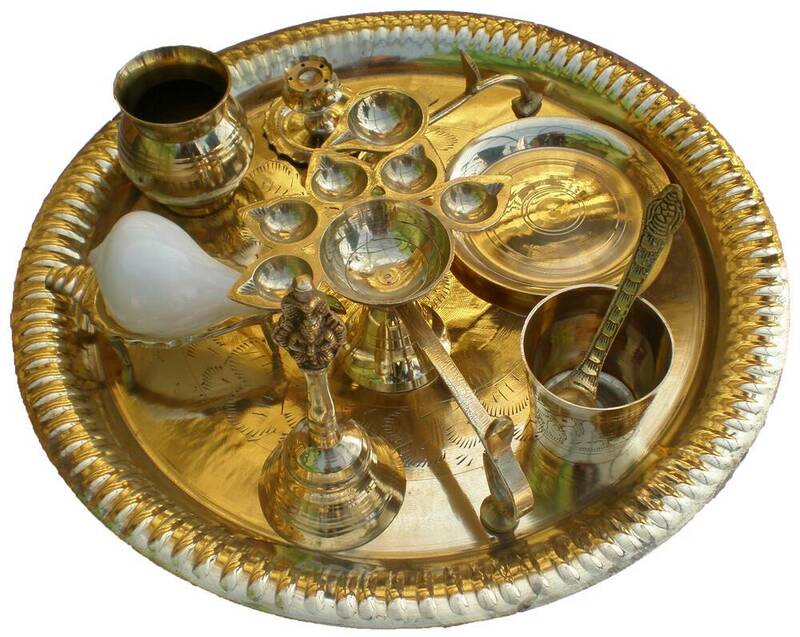 Large Brass Aroti Set 13" (33 cm) Aroti tray complete with all necessary items including water cup, lota with spoon, bathing conch shell and stand, bell, incense holder, flower offering plate, five ghee wick lamp and single lamp. All first class brass. This is a full size aroti tray as used in the temples. The weight is over 4 pounds [almost two kilos] solid brass.